For years Jean-Patrique have incorporated all the professional features that chef’s require in the kitchen and this sleek 5 piece set of knives is no exception. 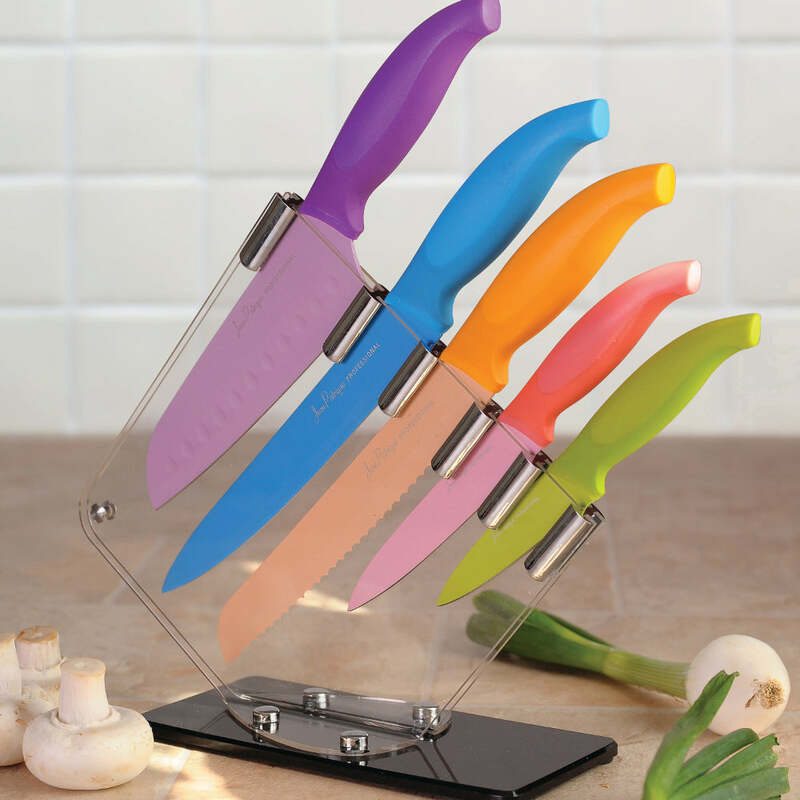 Each knife has been precisely constructed to give you superb handling with the perfect weight and balance. The knives have been forged using the finest carbon stainless steel to give the knife optimum strength, durability and a long-lasting cutting edge. This set of heaven comes with a complimentary solid white wooden knife block that gives you easy and safe access to your stunning knife set. 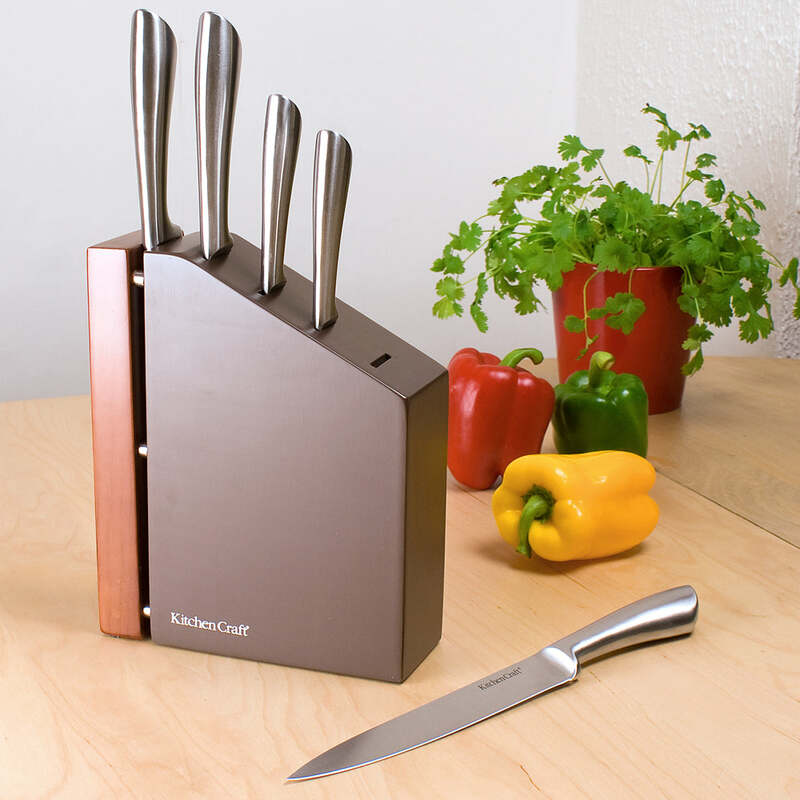 5 PIECE SET – This exquisite knife set comes with 5 pristine knives. EASY TO HANDLE – Sometimes knives can be difficult to work with. Not with our Jean-Patrique 5 Piece Knives & White Block Set. All of our knives are designed in order to make the customer comfortable using these knives. COMES WITH A KNIFE BLOCK – To present your knife set, we included a white wooden knife block for accessibility and safe access. EASY TO CLEAN – Because of the high quality stainless steel, nothing sticks to the knives which make them easy to clean.